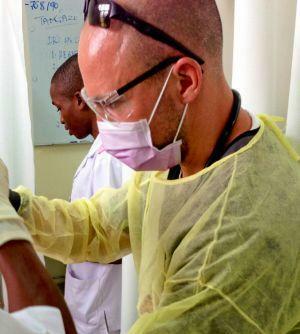 “Keep an open mind, open heart and be prepared to help in ways you haven’t previously considered,” advises Jeffrey Hammond (34) after completing a one month medical volunteer placement in Dar Es Salaam, Tanzania through Projects Abroad. Jeff, who worked in law enforcement for ten years and most recently as a student nurse, is planning to pursue an advanced nursing degree as a DNP (Doctor of Nurse Practice). 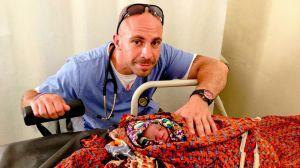 He felt that volunteering abroad would allow him to broaden his perspective in global healthcare. Jeff had the chance to work in various departments including the outpatient clinic, pediatrics and major surgery. His routine varied from day to day. “My tasks depended on what the staff and I were working with that day. I would assist in wound care, assessment, education and quite often assisting in surgery, complete care of individual patients and implementing life support measures as needed. 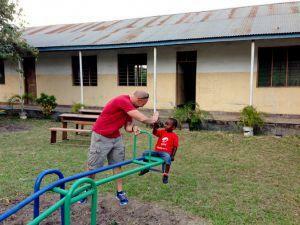 In addition, I was able to advocate for individual patients.” The medical environment and lifestyle in East Africa is drastically different from Jeff’s experience in America, but he learned to make the best of his opportunity.